Video: Will President Obama's Free Tuition Plan Work? The jobless rate in the U.S. falls to the lowest level since June 2008 as the economy added 252,000 jobs last month. The White House threatens to veto top priority legislation of the new Republican controlled Congress, including the Keystone XL pipeline. The House passes a measure to change the Affordable Care Act. President Obama announces plans for tuition-free community college. 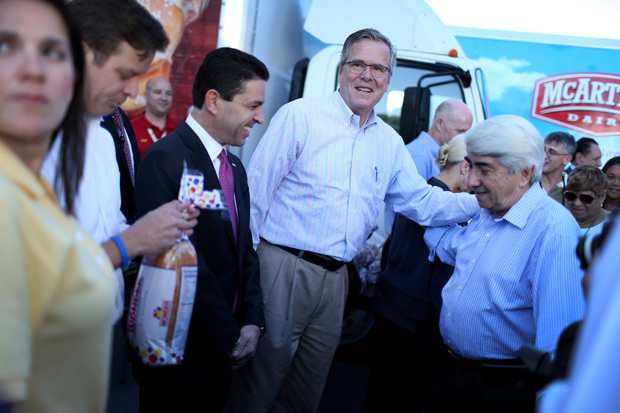 Jeb Bush ramps up a political operation for a possible 2016 presidential run. And U.S. reaction to the Paris terror attack. A panel of journalists joins Diane for analysis of the week’s top national news stories. Manu Raju Senior congressional reporter, Politico. Jeanne Cummings Deputy managing editor, Bloomberg Politics. Olivier Knox Chief Washington correspondent, Yahoo! News. President Barack Obama proposed a plan this week that would give tuition to students at two-year colleges. But the chances of the proposal moving forward is “not likely,” Olivier Knox of Yahoo! News told Diane on the Jan. 9 news roundup. Read more on the discussion here. Watch the full Jan. 9 Domestic News Hour.